I started my career as a hair stylist and colourist eight years ago, training and working in a top London salon. My experience of working on fashion shows and photo shoots for big name brands such as L’Oreal, and catering to my strong loyal client base in my privately run business, means I have the skill and expertise to create any style, any look – giving my clients confidence and assurance in their hair long-term, not just when they leave the salon. The philosophy behind Kit Couture is in the name. Couture is a unique bespoke fashion piece created especially for you, and this is exactly what we do for you and your hair. To create your unique hair style, we look at your eyes, your skin and your face shape. All these different elements need to be taken into account to define the look that will suit you best. The right hair colour will compliment your eyes and skin, enhancing the eye colour and ensuring your skin tone looks bright and healthy. The hair cut and style will be determined by your face shape and by considering your lifestyle. The combination of all these factors will ensure you look and feel at your best at all times. 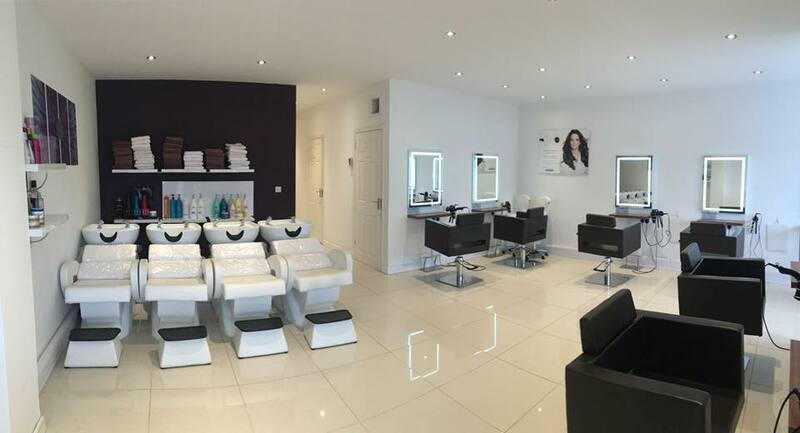 We have a luxurious beauty room equipped for all your needs. Please see price list for the full range of treatments. We also have a top of the range Ergoline Avantgarde 600 Pearl White sunbed. Please look for offers. We have non damage micro ring hair extensions – please ring for more details.